When you are getting ready to take the vacation of your dreams, you deserve to do business with a service that has your best interest in mind. At Cultured Vine, we specialize in curating the best experience you have had to date, over and over again. We are prepared to help you plan, coordinate and take the luxury vacation that you have always wanted to enjoy. 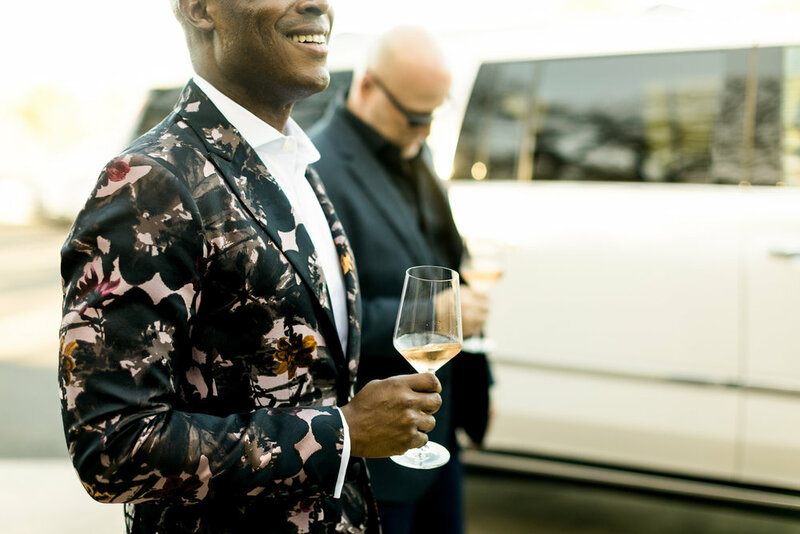 Whether this is your first luxury trip or you are an experienced worldwide traveler, our team of Napa Valley locals is here to ensure your satisfaction every step of the way. Imagine hot air ballooning in picturesque Napa Valley followed by breakfast in the vineyards with the winemaker as you learn about pruning and farming over a delicious meal and guitarist play. 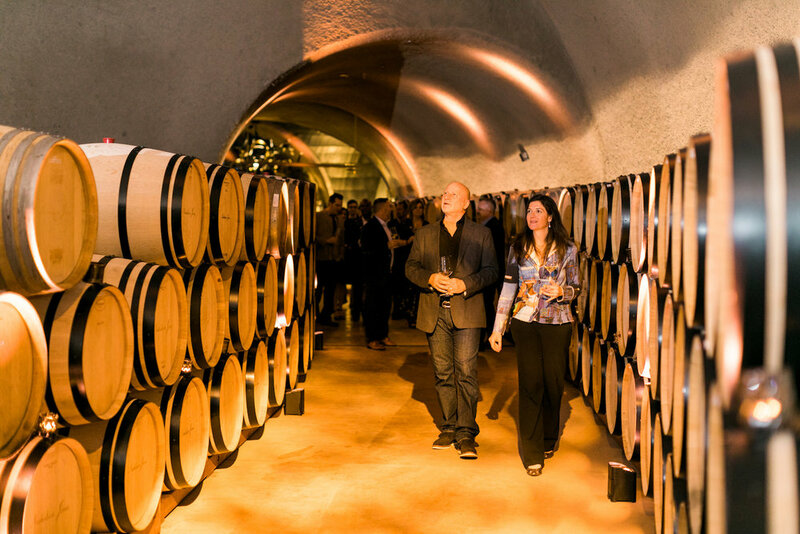 Or having a Michelin rated dining experience with vintners in a wine cave with entertainment and complete with design customization. With our member concierge services we open new doors to boutique invitation only wineries, access to chefs that will customize a adventurous menus, and exciting activities that are exclusive to your group. Cultured Vine is built with wine experts, travel professionals, and event designers that take pride in our craft and are excited to work one-on-one with you every time your travel to Wine Country. All images by Finch Photography. 1. We offer exclusive access. Some tours and experiences are only available through a travel agent. Many companies offer a lot of components and simply want to make sure a customer is right for their experience -- exotic tours, treks, private jet products are often only available through an agent. 2. We offer customized experiences. After years in the business, we have the connections to arrange for the hidden gems, the special passes, the upgrades and little touches that are not available to the normal visitor. In this wide and amazing and wonderful world, you just don't know what you don't know. 3. We are your advocate. Whether you need an upgrade to an ocean view or deal with a canceled flight, just have a seat and pick up the phone while the rest of the guests are lined up trying to rebook. One call with your concierge service will get it corrected. When things go wrong, a travel professional knows whom to call to get it fixed on the spot. 4. We are the experts. We will ask the right questions, listen to your answers and offer expert advice to guide you in making one of your most important decisions—how to spend your invaluable time off. Because there are no do-overs for a vacation gone wrong. From the passport requirements to the name of the maître d’ at the best restaurant in town, a good concierge service has the inside information that makes your trip perfect. 5. We offer effortless planning. The time and money you spend with a luxury concierge service will be returned to you many times over in the form of upgrades, convenience, perks and great service. Your time is valuable and you shouldn't have to spend it searching for the right vacation. We can do that for you. We can help you define the vacation you actually want, not the one you saw on television. After getting to know you through an initial consultation, we will know your tastes and preferences well enough to turn around a detailed itinerary you didn't know you could have.